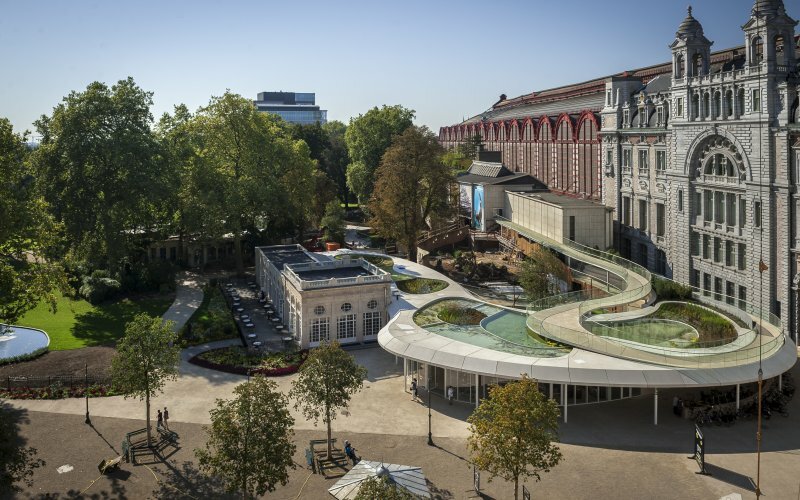 ZOO Antwerp opened its long awaited Skywalk, an architectural gem high in the sky. 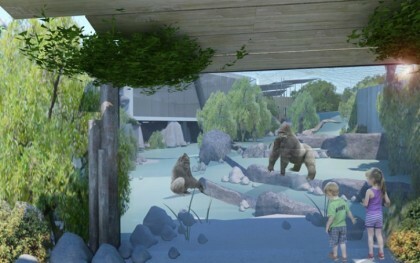 The impressive promenade – 6m high and 225m long – gives you a fantastic 360° view of the ZOO. After the huge success of the first edition in 2014, ZOO Antwerpen happily presents a brand new edition of China Light ZOO. From 3 December 2016 to 15 January 2017, Chinese artists will transfrom the zoo once again into a fairy-tale paradise full of lights! 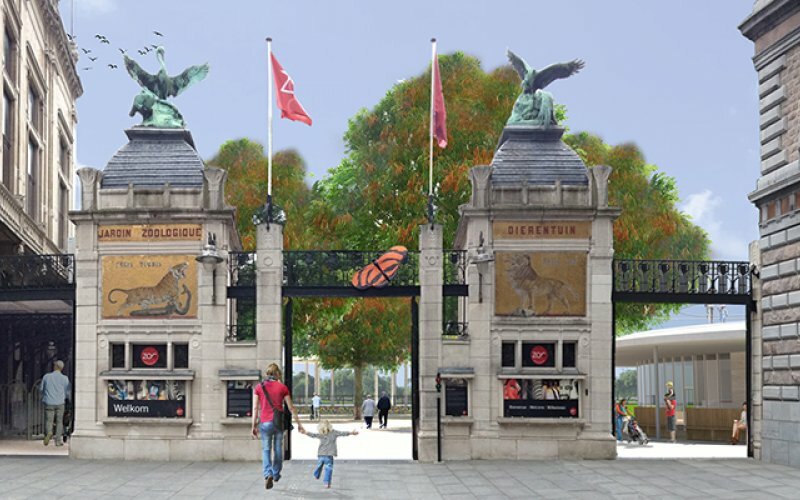 To prepare itself for the future, Zoo Antwerpen will be entirely renovated. The project, which has to bring the people closer to the animals, is due in the beginning of 2016. Lots of changes are ahead, it’s very exciting! The apes will have two large outside areas (1850m² in total) to play and let off some steam. The visitor is right in the middle of these “isles”, eye to eye with the chimpansees and gorillas. Seeing, smelling and hearing the animals in their natural habitat is quite a unique experience! The okapis – an endangered species who are used to living in the hot savanna- will receive a comfortably warm new cage, so that visitors can also come visit them on cold winter days. Okapis are part of the DNA of the Zoo – their stripes are even part of the logo! 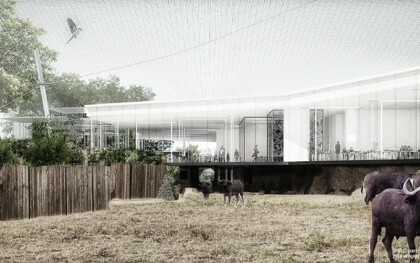 The new okapi cage emphasizes the fact that the Zoo is a place to visit during all seasons. 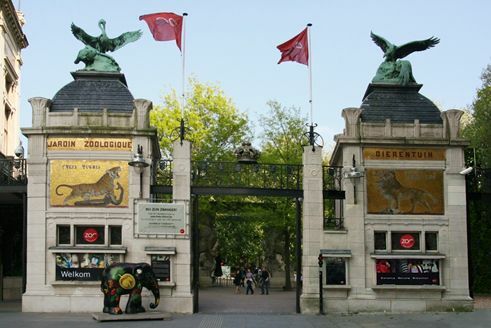 About 80% of all zoo animals can be seen and admired during typical Belgian weather. Now the okapis also belong to that group! 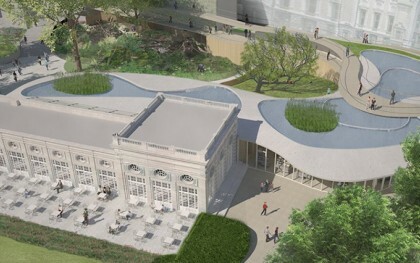 Finally, the entrance area will transform into a real welcome spot, accessible to all people. The entrance will be replaced behind the kiosk and as a result everybody can enjoy this cosy square at the entrance of the Zoo, which is a real landmark in the city after all. The flamingos will say hello all visitors… If that ain’t a warm and colorful welcome! Are you as excited as us about all these renovations coming up at Zoo Antwerpen? You can follow the story of the metamorphosis on the Zoo’s website or on social media with hashtag #ZOOnieuw.